The first phase of redevelopment of the 32-acre site of the former Cardinal Gibbons School in Southwest Baltimore kicked off with much fanfare May 5, when community leaders announced the beginning of construction of new apartments. Bon Secours Gibbons Apartments, housed in a four-story building, will offer 80 one-, two- and three-bedroom apartments, in addition to community and recreational space and parking for residents. A $19.5 million project of Bon Secours Baltimore Health System, in partnership with St. Agnes Hospital, the apartment development represents the first phase of a long-term project to convert the former school property into Gibbons Commons, a mixed-use community that will also feature a large turf field, restaurants, office space and more. St. Agnes Hospital purchased the property three years ago from the Archdiocese of Baltimore for $10 million with the intention of using it to build up the community. The land is located across the street from the hospital. Bonnie Phipps, former president and chief executive officer of St. Agnes Hospital, who recently began a new role as senior vice president and group operating executive for St. Louis-based Ascension Health, told a crowd of supporters that in the days following the Baltimore riots, some questioned whether the hospital should go forward with the ceremony announcing the construction of the apartments. Samuel L. Ross, chief executive officer of Bon Secours Baltimore Health System, said Bon Secours Gibbons Apartments will open in the spring of 2016. Ross noted that the housing project is Bon Secours’ 11th housing community. The Gibbons location, named for the first cardinal-archbishop of Baltimore, represents a renewal of the partnership of the Sisters of Bon Secours and Cardinal Gibbons, Ross said. It was Cardinal Gibbons who invited the Sisters of Bon Secours to Baltimore in 1881 from France, he said. After their arrival, they were active in home nursing and hospital work. The sisters also cared for Cardinal Gibbons in the days leading up to his death, Ross said. During the May 5 event, leaders announced that Royal Farms has agreed to erect a 5,271-square-foot Royal Farms’ Fresh Kitchen at Gibbons Commons. Expected to open in late 2016, it will offer healthy food options, indoor and outdoor seating and a full gas station. Weber House, one of the original buildings on the property, will be converted into office space for St. Agnes. It will also house a relocated Kibby’s Restaurant and Lounge, which is planning to move from Wilkens Avenue to Gibbons Commons. The restaurant will take on a sports theme celebrating the legacy of Babe Ruth, the Baltimore-born baseball Hall-of-Famer, who attended St. Mary’s Industrial School and played baseball on the site. Babe Ruth Field, a baseball diamond that will be positioned on the exact site where Ruth played in his youth, will be erected in partnership with the Cal Ripken Sr. Foundation at Gibbons Commons. 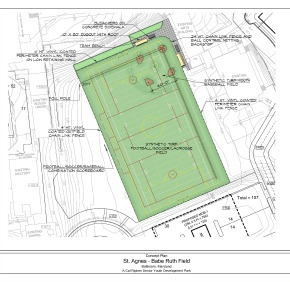 The turf field will also include space for other sports such as football and lacrosse, and will be used by The Seton Keough High School and others in the community. 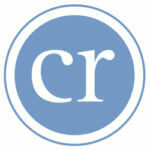 The Y of Central Maryland will manage Babe Ruth Field. It is considering the possibility of renovating the 30,000-square-foot Cardinal Gibbons gymnasium into a full-service family center that would include a warm-water pool and fitness center. William Greskovich, vice president of operations and capital projects for St. Agnes Hospital, said Catholic Charities is exploring plans to provide housing and services at Gibbons Commons that would be geared toward intergenerational families. That would include apartment space for grandparents raising their grandchildren. St. Agnes is also working with Cardinal Gibbons alumni to develop a commemorative courtyard to honor the former school.